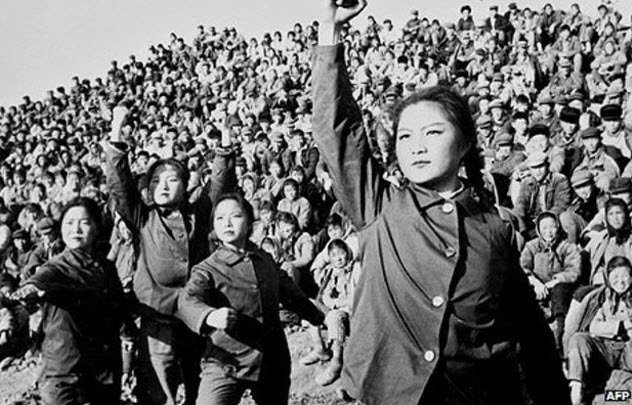 Life under Mao Tse–tung was strange and brutish. While he was chairman of China, he introduced some policies that didn’t work well and that eventually killed an estimated 45–75 million of his own people. Under the feverish sway of Mao’s cult of personality, people in China got a little weird—and there are some lesser-known stories from Mao’s rule that you’d never imagine. In 1968, a Pakistani foreign minister gave Mao a gift: a cart full of mangoes. To the minister, this was probably nothing more than a simple gesture. But in China, it sparked a wave of complete insanity. 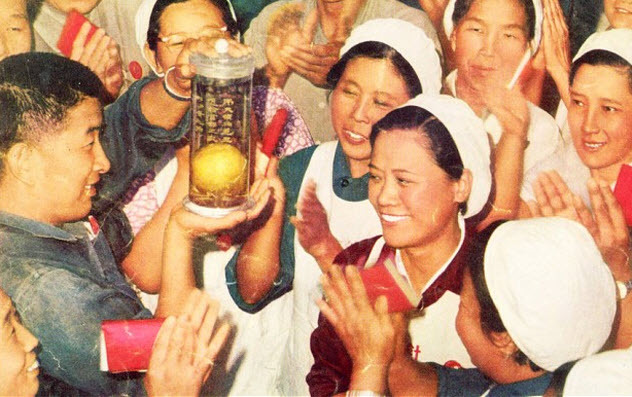 A textile factory put their mango in a shrine and had workers pass by and pay respects to it when they entered. When the mango went bad, they made a replica of the mango and kept it in the shrine so that no worker would have to start their day without giving thanks for the mango. As most Chinese people had never seen a mango before, the experience was life-changing for every single person honored enough to behold this juicy tropical fruit. That is, every person except for one. A dentist got the chance to see a mango in person and somehow was not impressed. 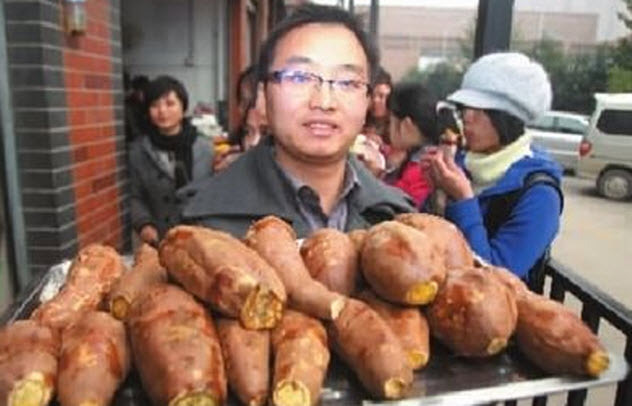 He denounced the mango as being similar to a sweet potato, which made the people furious. The dentist was arrested on charges of “counterrevolutionary speech.” He was sent to prison and, shortly after, executed for the crime of saying mangoes kind of look like sweet potatoes. Nobody ever dared to scoff at mangoes again. Mao tried to put an end to every hint of bourgeoisie in his country. Sometimes, this meant putting an end to corrupt businesses and wealthy landowners. Other times, it meant tearing up children’s stamp collections. Reportedly, Mao hated stamps. He viewed collecting them as a bourgeois pastime and, when the Cultural Revolution began, banned his people from keeping stamps in any collected form. 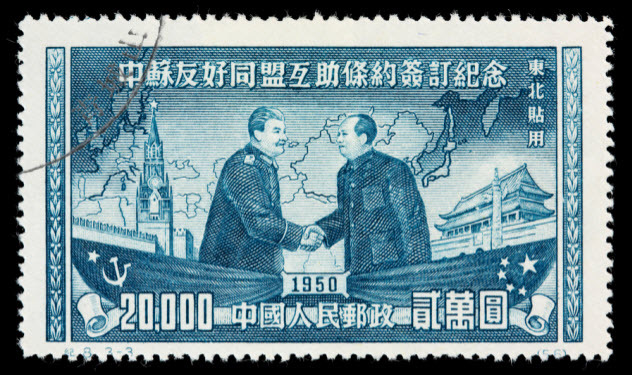 The ruling stayed in place until Mao died, and it took until he was gone before Chinese hobbyists could openly show off the stamps they’d slipped off envelopes. Ironically, the effect of Mao’s ban is that stamps from the Cultural Revolution are now among the most prized and sought after in the world. The Communist Party of China encouraged its people to “clear away the evil habits of the old society” and tear down the old ideas of their forefathers. Although there’s no proof they ever explicitly said that meant “beat your teacher to death,” that’s definitely how people took it. In 1966, students in at least 91 separate schools dragged their teachers into the streets and beat them until they decried their corrupt ways. In some instances, the students splashed ink on the teachers’ clothes and hung boards on them with their names crossed out with red X’s. Then the students beat these teachers with nail-spiked clubs and burned them with scalding water, often until they died. By the end, 18 educators had been killed by their students and many more had committed suicide over the humiliation. Meanwhile, Mao sat back and ordered his security not to interfere with what the students were doing. He didn’t let the army try to restore order for a full two years. During the 1970s, the Chinese government realized that it didn’t need to waste so much money on building materials for housing. After all, the longest wall in the world was just sitting there taking up space. With another chance to destroy an old relic, they encouraged people to start dismantling the Great Wall for the spare bricks. Villagers living near the Great Wall tore parts of it down and then worked the bricks into their homes. Even the government tore down whole sections and used the parts to build a dam. 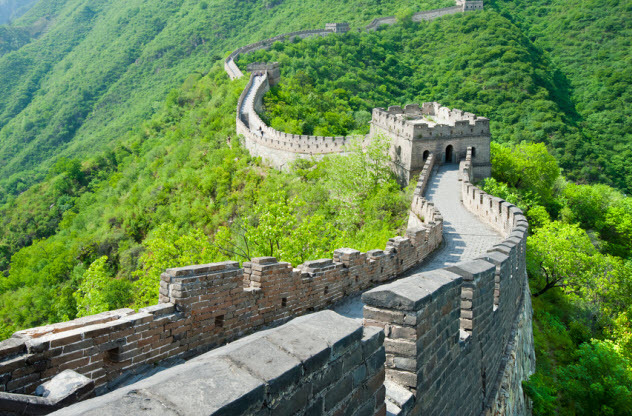 The Great Wall eventually became a heritage site, and the area was protected. To this day, though, there are still a few houses with great chunks of history holding up their walls. In 1959, Mao got fed up with tigers. After farmers in China were attacked by animals, Mao announced that tigers—along with wolves and leopards—were “enemies of the people” and should be destroyed. The Communist Party sparked a number of “anti-pest” campaigns that encouraged people to seek out and kill predatory animals. 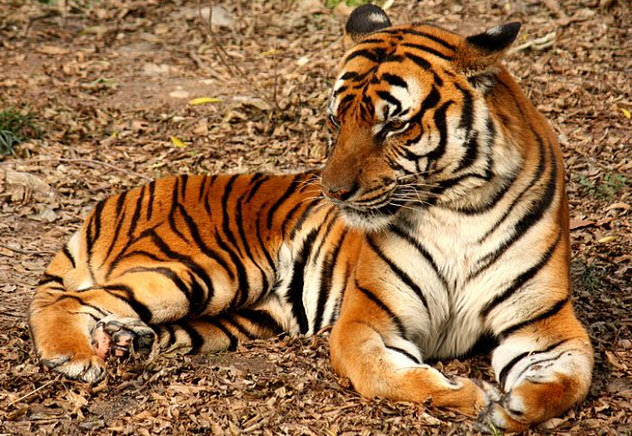 In just a few years, the Chinese had slaughtered nearly 75 percent of the world’s population of South Asian tigers and brought these animals to the brink of extinction. The Red Guard was on a constant lookout for anything that might be counterrevolutionary. 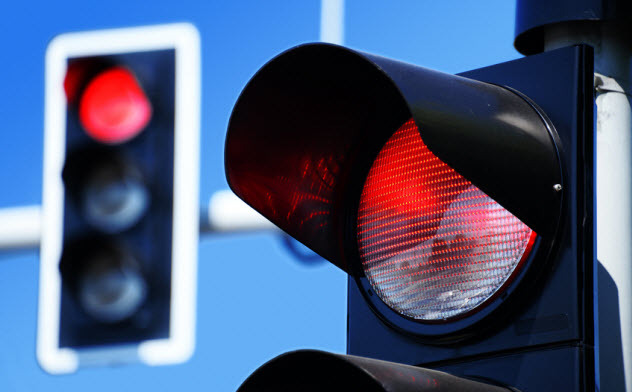 In September 1966, some of them noticed something insidious—people were stopping their cars when they saw red traffic lights. Since red was the color of the party, the group decided that stopping on red and driving on green was “obstructing the progress of revolution,” and they marched to demand an end to it. From then on, the men declared, they would force people to drive on red. Fortunately, the Red Guard was stopped by China’s Premier Chou En-lai before they could put their plan into motion. Premier Chou sat the men down and assured them that stopping on red symbolized how the party “guarantees the safety of all revolutionary activities.” An onslaught of riots and traffic accidents was just barely avoided. According to writer Liang Heng, you could get into trouble in Mao’s time just for dressing well. 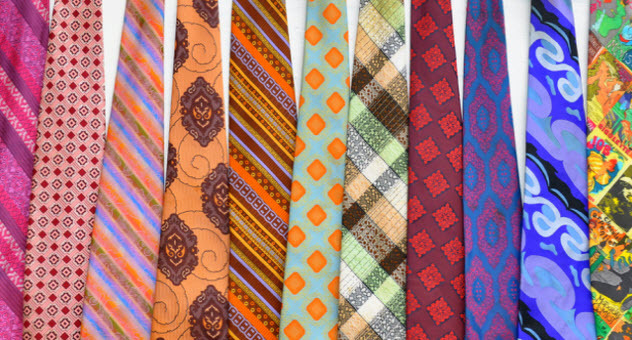 Liang recounts a story in which his father was nearly sent to prison because he was found in possession of a tie. Members of the Red Guard had broken into Liang’s home and were searching through his father’s things when they found a tie. A Red Guard held up the tie and announced that it was “capitalist.” When Liang’s father was found to own a suit and cuff links, he was denounced as a “stinking intellectual,” and then his clothes and books were gathered together and burned. Liang’s father escaped imprisonment by agreeing to state that burning his possessions was “a revolutionary action” and a good thing. Still, he didn’t emerge unscathed. The Red Guards took his radio and a month’s salary as payment before leaving his home. In Mao’s China, cannibalism was a major problem. According to some reports, some of the students who killed their principals ate the dead bodies as a way of celebrating their triumph over counterrevolutionaries. A government-run cafeteria also allegedly displayed the bodies of traitors on meathooks and served their flesh for lunch. The worst cases were in Guangxi Province. In the late 1960s, at least 137 people were killed and eaten in that province alone. 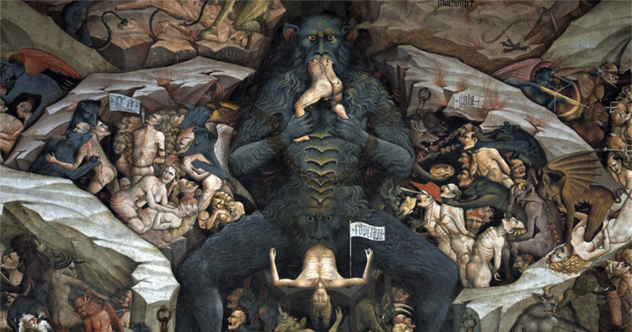 These bodies were usually shared with others, suggesting that there were likely thousands of people who committed cannibalism. While there’s almost no doubt that starvation was part of the reason this happened, the people who did it didn’t see themselves as desperate. The acts of cannibalism were touted as a way of showing just how feverishly dedicated a person was to the cause of the party. If you were willing to eat China’s enemies, they figured, no one could say you were taking the cause lightly. In 1973, in Mao’s later years, he sat down with Henry Kissinger, hoping to negotiate a bilateral trade agreement with the United States. At first, Kissinger reportedly tried to keep the conversation on serious topics, but Mao’s mind was on other things. Mao told Kissinger that China was a “very poor country” and had little to offer in a trade agreement—except, that is, for women. He offered to send 10 million women to the US, saying that he had them in excess and that they only caused problems. 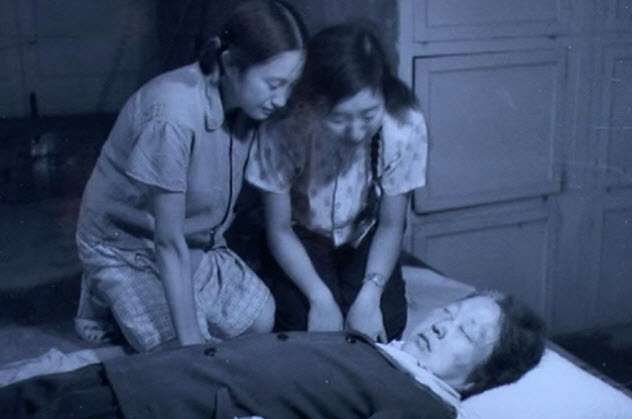 As Mao riffed on about how women were ruining the country, one of his party members warned him that, if his words got out, “it would incur the public wrath.” The dying Mao, though, was getting old and tired. He didn’t seem too worried.